Chrysotile Asbestos is Harmless The BLM and the EPA are lying to us so that they can use this as an excuse to restrict our rights. Here are the facts, study them and don’t let the BLM or the EPA continue to feed you the crap about chrysotile being dangerous. 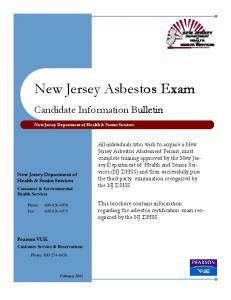 Don’t compromise - Chrysotile Asbestos is Harmless – BLM and EPA lies are dangerous. David M. Bernstein, Rick Rogers, Paul Smith, Jörg Chevalier, 2006, “The Toxicological Response of Brazilian Chrysotile Asbestos: A Multidose Subchronic 90-Day Inhalation Toxicology Study with 92-Day Recovery to Assess Cellular and Pathological Response,” Inhalation Toxicology, 18:313-332. "this study clearly shows that at an exposure concentration 5000 times greater than the U.S. threshold limit ..., chrysotile produces no significant pathological response in a subchronic inhalation toxicology study." David M. Bernstein, Jörg Chevalier, Paul Smith, 2005, “Comparison of Calidria Chrysotile Asbestos to Pure Tremolite: Final Results of the Inhalation Biopersistence and Histopathology Examination Following Short-Term Exposure,” Inhalation Toxicology, 17:427-449. "Calidria chrysotile cleared from the lung with a half-time of 0.3 days, 7 hours, which is faster than any other commercial mineral fiber." "These findings provide an important basis for substantiating both kinetically and pathologically the differences between chrysotile and the amphibole tremolite. This has been demonstrated for three different chrysotile samples from Canada, the United States, and Brazil. As Calidria chrysotile has been certified to have no tremolite fiber, the results of the current study together with the results from toxicological and epidemiological studies indicate that this fiber is not associated with lung disease." Report "Chrysotile Asbestos is Harmless"